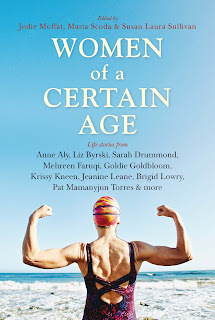 I was recently offered the chance to review a book of essays written by women about the later years of life. Women of a Certain Age, (Freemantle Press, March 2018) proved a compelling read, not just because I'm a woman, but because it is a glimpse into the human experience that I think is rarely put in the spotlight. I am grateful the opportunity came my way. Read my whole review here and see the link there for how to find your own copy.